Do you want to know the secret to keeping your vehicle running longer? What can you do to ensure that your vehicle provides you with ongoing reliability, safety and performance? 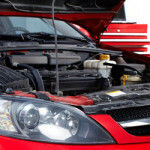 Preventive maintenance service is the key to avoiding more costly auto repairs. During the normal course of driving, the various parts, systems and components of your vehicle will experience wear and tear. Without proper preventive maintenance, your vehicle will start to break down. This fact is especially important if you manage handicap vehicles or other commercial fleets. Every vehicle make and model has its own schedule of preventive maintenance services as recommended by the manufacturer. The scheduled intervals may vary though, depending on your driving habits and road conditions that you normally drive in. Marks Auto Service’s experienced technicians can perform a thorough vehicle inspection and provide you with their expert analysis and list of recommendations that is personalized for your vehicle. If you stay on top of your preventive maintenance services, you will see an improvement in your vehicle’s performance, handling, reliability and safety; an improvement in your fuel mileage; and you’ll be able to drive your vehicle for 300,000+ kilometers down the road.